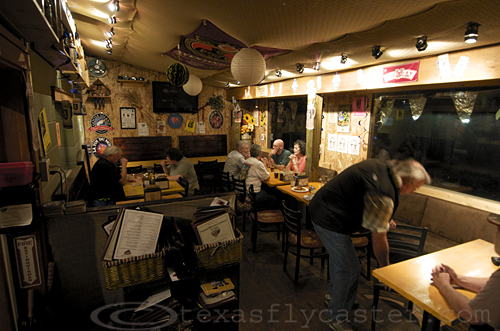 Colorado is synonymous with beer and micro breweries, and Pagosa Springs, Colorado, is no exception. 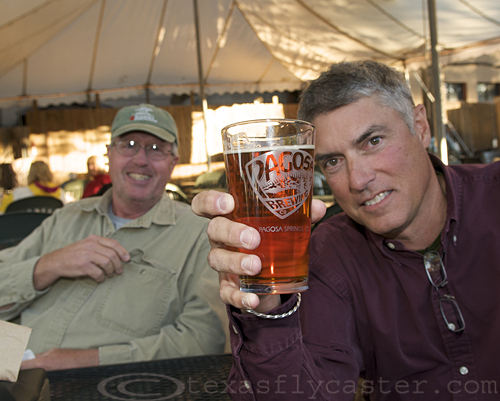 Pagosa Brewing Co., like all things Pagosa, should be part of your plans for a fly fishing adventure in Pagosa. 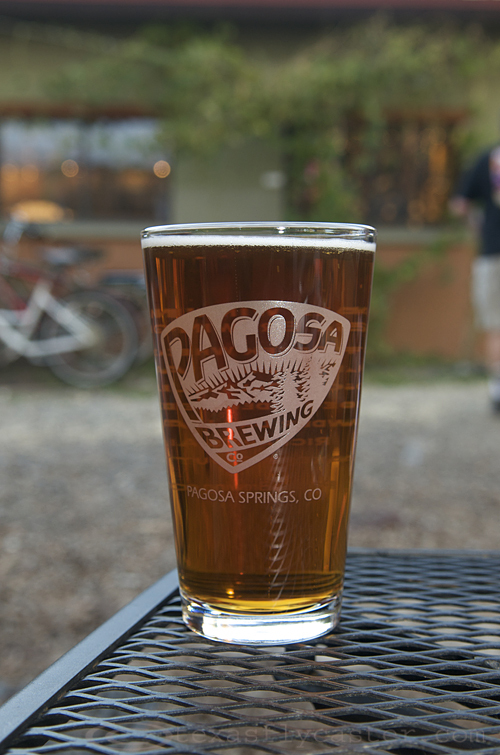 Located at 118 N. Pagosa Bl., Pagosa Brewing has a landmark trailer outside, and beer garden where you will find locals sitting, talking, eating and partaking of the many different beers they have for the true connoisseur of micro brewed beer. Depending on the day, it could be a dark, wheat or any number of other variants. Hopps growing in the beer garden at Pagosa Springs Brewing Co.
Also, not to be misunderestimated, they have free wi-fi access. That’s something you want to pursue and attach yourself to if you have the need to “get out” to the world. Otherwise, turn all electronic devices off, put your trays and setbacks in the upright position, and forget about it. The warm insides of Pagosa Springs Brewing Co.
Don’t stop at the liquor store next to the grocery store, and don’t bother with the grocery store(s). 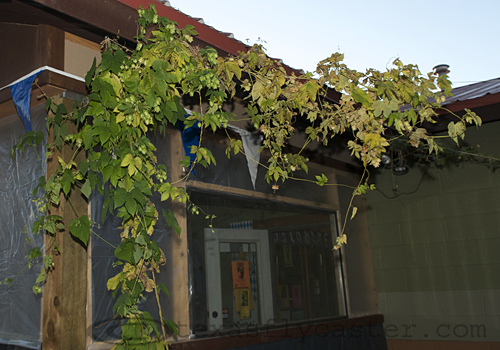 Just go straight to the brewery, walk right in and get yourself a growler of whatever happens to be the flavor. They run about 16-dollars, but just like the best of things in life – they give, OK sell, refills! My empty awaits the next ride to Pagosa, and I will loan it to you if you promise to bring it back. Take me along, and you can keep it. Cheers from Pagosa Brewing Co. in Pagosa Springs, Colorado.